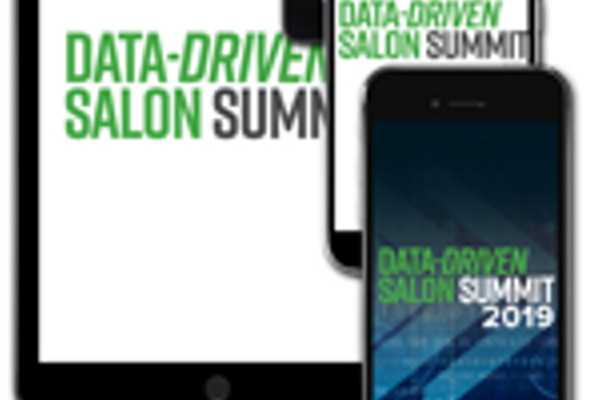 The 2019 Data-Driven Salon Summit promises to be an event like no other. 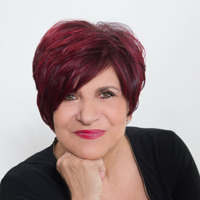 In an advanced workshop approach, owners, managers and key salon professionals will be able to dig deep into their data, mine the wisdom within and learn from their successful salon peers how to engage the team, attract new clients and fuel growth. This year, the summit will have a unique overall focus each day. Sunday, May 19 will focus on the metrics and best practices that drive staff engagement and momentum, and Monday, May 20, will focus on the metrics and best practices that drive client engagement, adoption and retention. An optional half-day (Tuesday, May 21) will provide advanced education and an opportunity to meet with the most prominent business coaches in the salon industry. 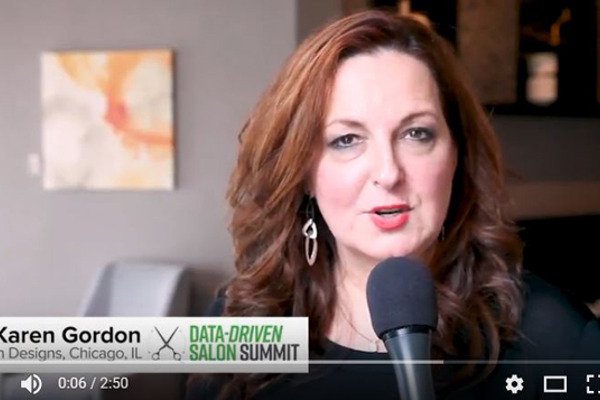 Welcome to Data-Driven Salon Summit 2019! As the Data-Driven Emcees, Gene Juarez's Scott Missad and Salon Visage's Frank Gambuzza share their love for embracing data to drive their respective businesses and set the stage for the learning ahead. Data will open your eyes to your unique possibilities. In this opening session, you’ll be able to plug your own salon metrics into our Stack Up tool, which will show you how you compare to salons from around the country. This help you identify your best opportunities for growth, guiding you to select the workshop sessions that will best fuel your growth. Harry Wood, master stylist at Van Michael and founder of the Six-Figure Hairdresser program takes the stage for our first metric presentation on SGP—or percentage of service guests purchasing retail. Owners know that the surest path to salon profits comes from strong retail sales. From studying the client’s personality and tailoring your retail approach accordingly, Wood delivers solid strategies on helping stylists achieve an average of $60,000 in retail sales or more per year. Any salon’s year-end growth is the summation of each day’s tickets. 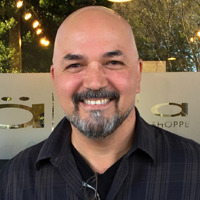 Gary Harlan, owner of NColor Salon and Spa, will discuss the strategies he and his team employ to ring up higher sales from each guest—from creating a game plan during each consultation to adding on services to sending clients home with the products that keep them looking their best between appointments. Jyl Craven, owner of Jyl Craven Hair Design and China Wong, owner of Salon Spa W, both continue to drive growth in their salons year after year. They share their best practices for strategically planning for growth, identifying new services to onboard and engaging their teams to tighten their schedules, work more efficiently and make each appointment with each guest a bigger opportunity. We know success is not just a numbers game. Success also requires leaders at the helm who are truly inspirational, have honed their communication skills and have the ability to engage their team to achieve their goals. 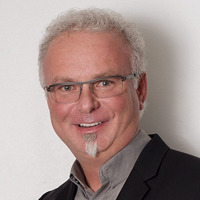 After an intense morning, Relationship Guru Dr. David Andersen will re-energize attendees, helping you take home the DDSS wisdom and infuse new resolve into their teams. In an enlightening presentation, Stefanie Fox-Jackson helps owners and managers understand and overcome the disruptions caused by technology and the younger generations. 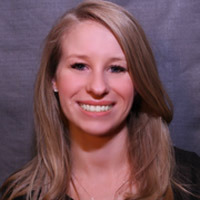 She’ll help attendees grasp the unprecedented rate and impact that technology has on Millennials and Gen Z, while showing you how to use leadership skills and technology to overcome their three barriers to success as employees, including their obsession for comparison, their need for instant results and their struggle to feel fulfilled. Build on the best practices you learned from the morning’s session. In a guided, hands-on workshop led by Harry Wood, work alongside your peers to develop an action plan for growth in SGP (percentage of Service Guests Purchasing Retail) in the year ahead. Build on the best practices you learned from the morning’s session. In a guided, hands-on workshop led by the Gary Harlan, work alongside your peers to develop an action plan for growth in Average Ticket in the year ahead. Stop by and chat with ZeeZor staff -- bring your metric questions & let the experts help you out! A reused coupon here, a little product there, with cash and inventory quietly going home with someone it’s not supposed to. 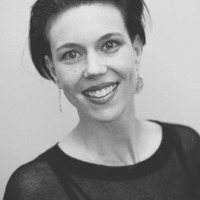 Theft in a traditional salon isn’t that challenging to pull off, but Cindy Howell, former franchise owner of several Great Clips locations, can show you how to study your data for clues to when and where you’re getting ripped off. Build on the best practices you learned from the morning’s session. In a guided, hands-on workshop led by Gary Harlan, work alongside your peers to develop an action plan for growth in Average Ticket in the year ahead. Build on the best practices you learned from the morning’s session. In a guided, hands-on workshop led by the Jyl Craven and China Wong, work alongside your peers to develop an action plan to boost Productivity in the year ahead. Traditionally, salon owners have taken a blind approach to marketing, throwing up a great idea and hoping it sees some traction in sales. To examine ROMI (Results from Marketing Investments) -- Salon 124 Group’s Owner Brian Perdue and Director of Marketing Amber Burns share an innovative approach to digital salon marketing—including a campaign to recapture lost guests—that is showing some big results! Build on the best practices you learned from the morning’s session. In a guided, hands-on workshop led by Harry Wood, work alongside your peers to develop an action plan for growth in SGP in the year ahead. Build on the best practices you learned from the morning’s session. In a guided, hands-on workshop led by Jyl Craven and China Wong, work alongside your peers to develop an action plan to boost Productivity in the year ahead. In a Strictly Business Reunion, Scott Missad and Frank Gambuzza lead a rousing Q&A session, helping Data-Driven attendees process the wisdom of Day One, while taking on any burning questions from salon owners and managers. 5:00pm - 6:30pm - Catch up with old friends and meet some new ones at the networking reception! 6:30pm - 8:30 (and beyond! ): Afterwards we’ll wrap up the day’s activities with swank, style, and fun at the Beauty Bash hosted by Minerva Beauty. You’ll enjoy lite bites, spirits, and entertainment alongside your old and new Data-Driven Salon Summit friends. We’ll also be presenting Salon Today’s Salon of the Year awards – honoring the best in salon design, and the Zee Awards, which recognize outstanding salon and stylist performance. See inside the salons that captured prizes in the 2019 Salons of the Year decor competition and meet the winner of the 2019 Zee Awards! Are You Running Your Business - or is it Running You? The Entrepreneurial Operating System is a set of simple, practical and proven tools that business owners and leaders can use to run their business on one holistic and aligned operating system. 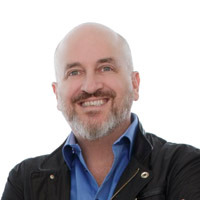 Professional EOS Implementer Todd Weeks will share some of the strategies he uses to help companies of all kinds run at peak performance, drilling down on how to build a healthy salon culture. How healthy and robust is your clientele? 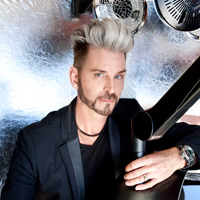 Daniel Holzberger, master stylist with Van Michael, will show you how the salon tops the rosters when it comes to the number of clients they serve, share best practices for elevating the client experience, as well as building referrals and encouraging loyalty. Gain new clients, but keep the old—one is silver and the other gold. From pre-booking strategies to loyalty programs, Gadabout's Jana Westerbeke and Megan Jasper will highlight their teams' best client retention strategies for developing long, prosperous relationships with each and every guest. Reviews on Yelp! and other review platforms can be your salon’s best friend or worst nightmare. Learn how to manage both ends of the spectrum and learn how to maximize your overall profile so new clients can find you and your existing fans will review you. Gayle Fulbright and David Linde from Headlines the Salon will share their experiences while they outline best practices. Build on the best practices you learned from the morning’s session. In a guided, hands-on workshop led by Daniel Holzberger, work alongside your peers to develop an action plan for growth in Client Count in the year ahead. Build on the best practices you learned from the morning’s session. In a guided, hands-on workshop led by Jana Westerbeke and Megan Jasper, work alongside your peers to develop an action plan for improvement in Client Retention in the year ahead. Meet peers in your accountability group and decide together how you will work together in the year ahead to keep each other on track with your metric action plans. Get a glimpse into the salon of the future. Stacey Coronado gives you an insider look at the systems, processes and technology that keep her four salons humming without a front desk. Using her data, she’ll prove to you that she’s improved her client experience while boosting productivity and sales. In a forward-thinking presentation, the pros from Phorest Salon and Spa Software will show you how top salons will leverage data to attract and wow the best—and more importantly highest-spending clients—over the next three to five years. 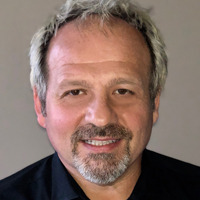 Through a number of case studies, Daysmart (Salon Iris) CEO Jeff Dickerson illustrates how you can tap into more opportunity with each and every guest. Walking you through some valuable hair color metrics, Suretint professionals will show you how the salon industry’s biggest money-making service can yield you even higher profits. A panel of leading salon owners from the Data-Driven Host Committee take the stage to recap the wisdom from Day One sessions and answer attendees’ burning management questions. Closing Remarks & Thank You!